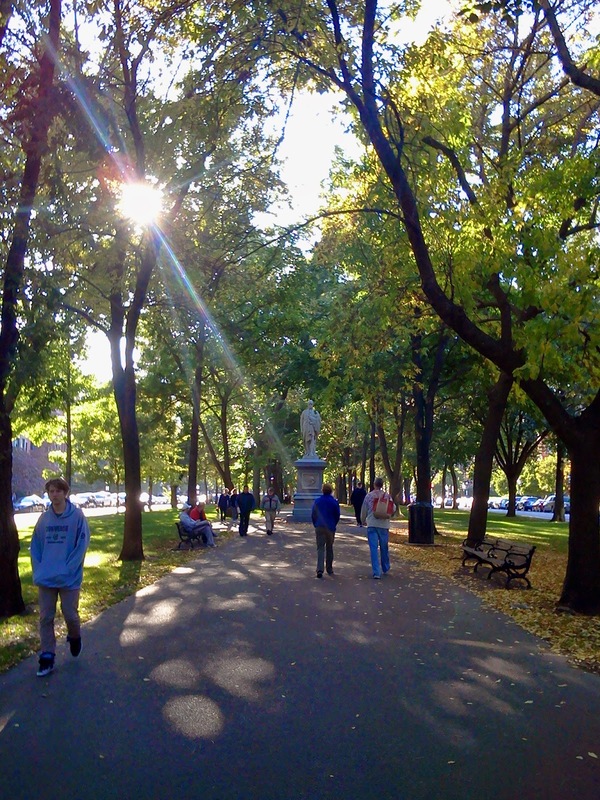 Disclaimer: With only two days to explore the area there’s a chance we didn’t get to see, do, drink, tour, eat or photograph 99% of the things one “must do” while in Boston. Forgive us, please. It was our last stop that would include my sister, Marylou, and brother-in-law, Craig. Our time in the north east was up since we already had reservations in Cedar Key, Florida for winter. 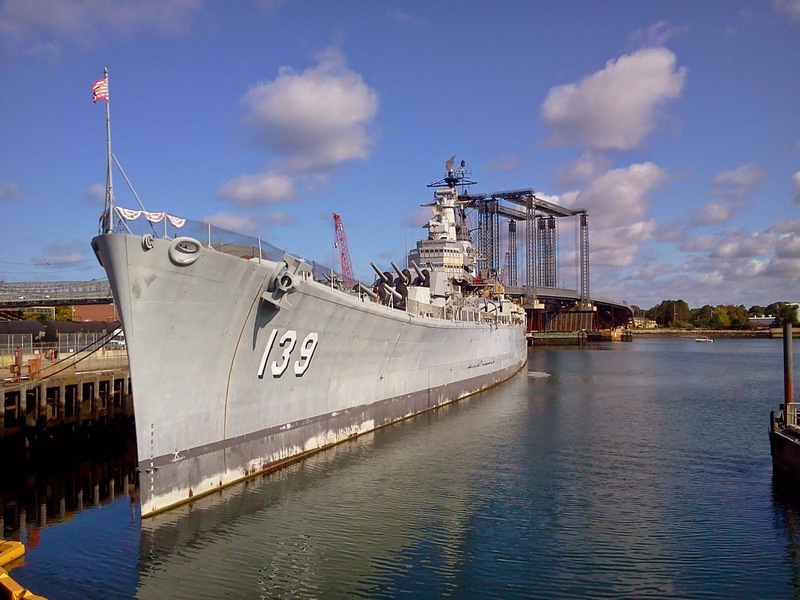 We would only have a month to get from Massachusetts to our winter ‘home’. Marylou and Craig had plans on upgrading their truck camper and also had to get back to their lives in upstate New york. 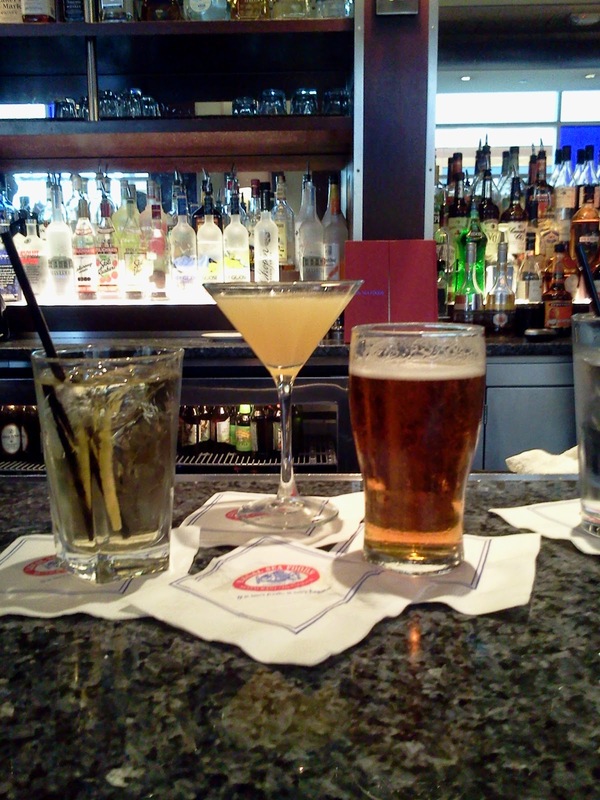 But, for one last weekend we were determined to tackle everything Boston had to offer. Craig and Marylou’s truck camper up ahead…fingers crossed that we can fit in the tunnels!! We’ve been relying heavy on our Rand McNally RV specific GPS since we hit the road in October of 2012. It’s done us right when it comes to bridges and overpasses, taking into consideration the size of the Mutiny. However, we were now following Craig and Marylou who like to use good old fashioned maps to navigate…maps which do not tell you whether or not a 12’6″ tall RV can fit in cramped spaces. 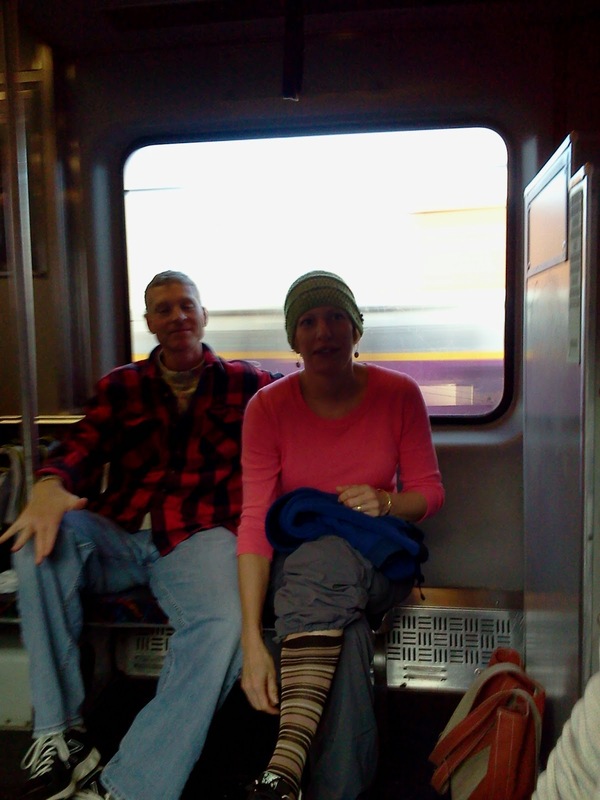 I have to admit, I held my breath (and even uttered a few cuss words as we approached the Boston underground going 50 mph. 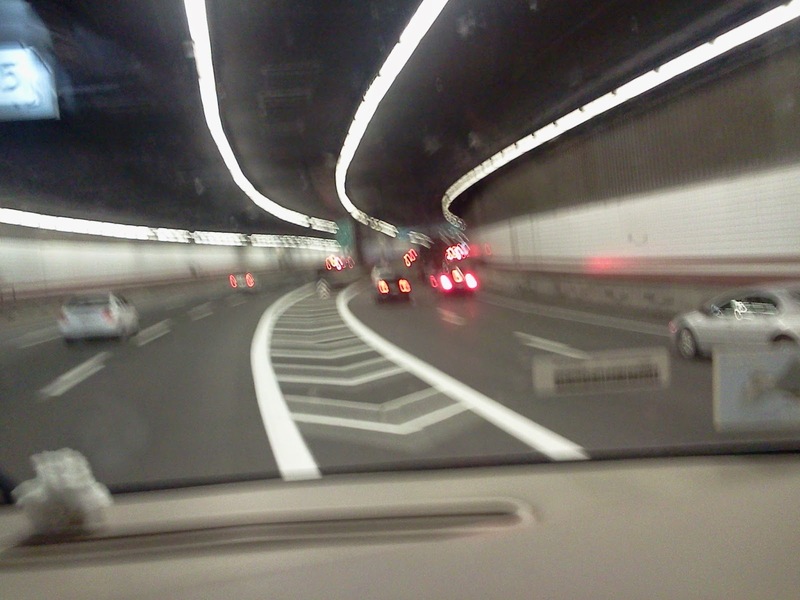 Sorry for the blurry picture but I wanted to give you an idea of the tunnel. We fit! Clark was still white knuckling it most of the way but he never slowed down and drove the Mutiny like a pro. 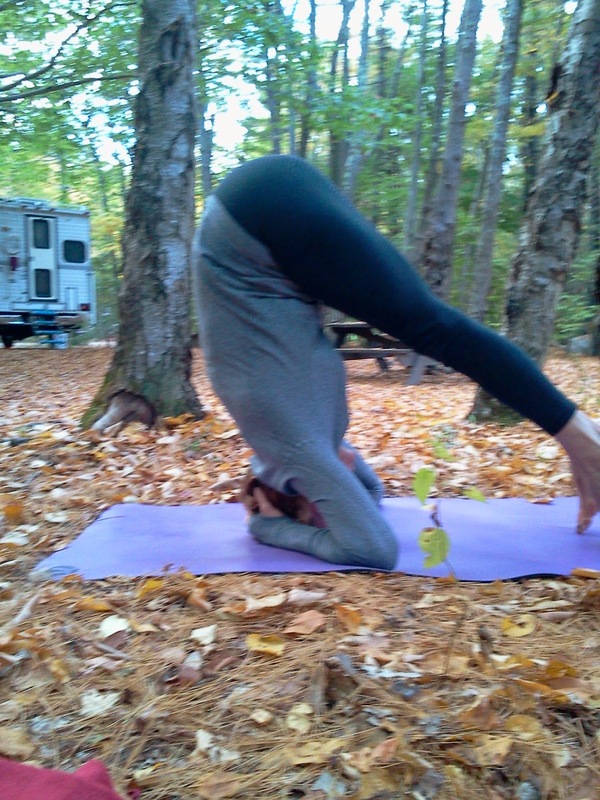 We arrived safely at our campground, Wompatuck State Park and found spots close enough to each other that Marylou and I could continue our early morning (aka freezing cold) yoga sessions. 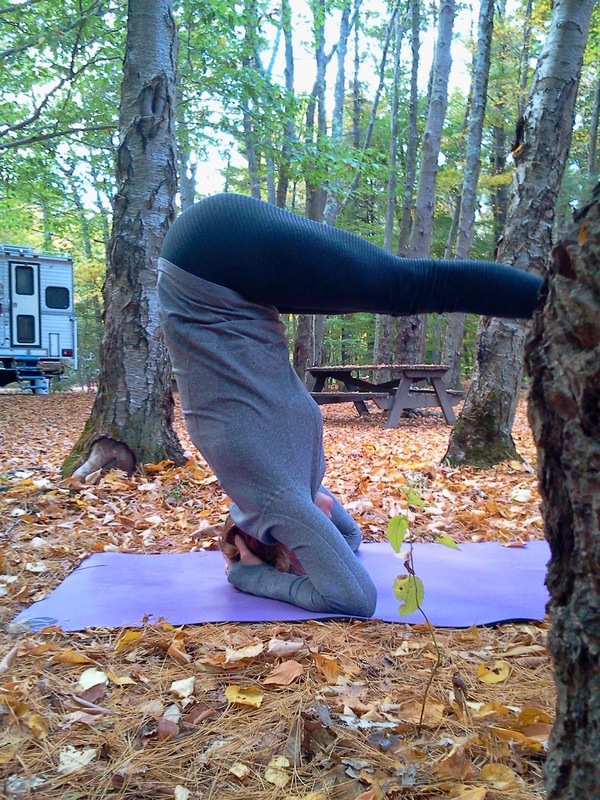 Here’s a series of pics for all of you yogis of my sister nailing her very first PIKE headstand…BOOM. 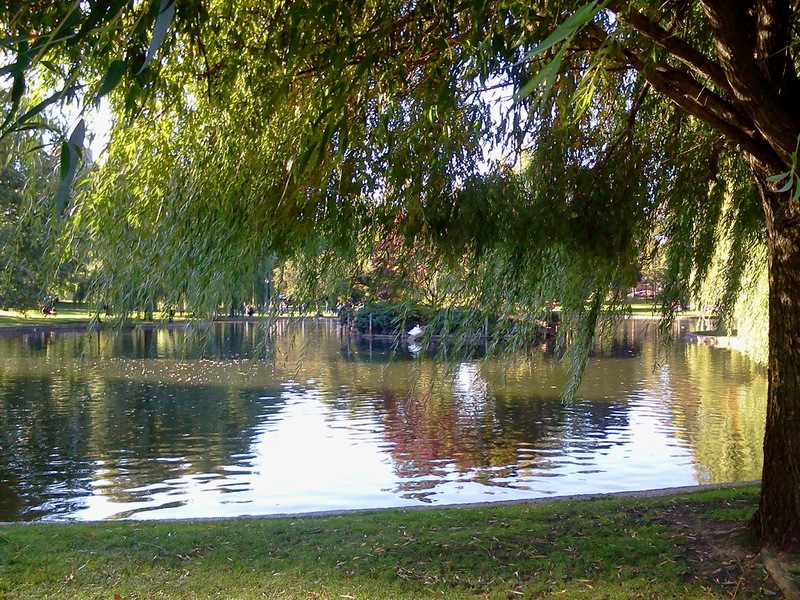 There aren’t many RV parks near Boston so we had to compromise by staying at a park that was somewhat close to the commuter rail. The good news is not only is Wompatuck cheap…it’s beautiful! The Mutiny and Chuck at Wompatuck State Park. Our first challenge (after maneuvering through the tunnels) was to figure out how the commuter rail worked. Lesson one…bring cash for parking (they have those old-fashioned things where you have to shove coins or folded bills into slots for payment). 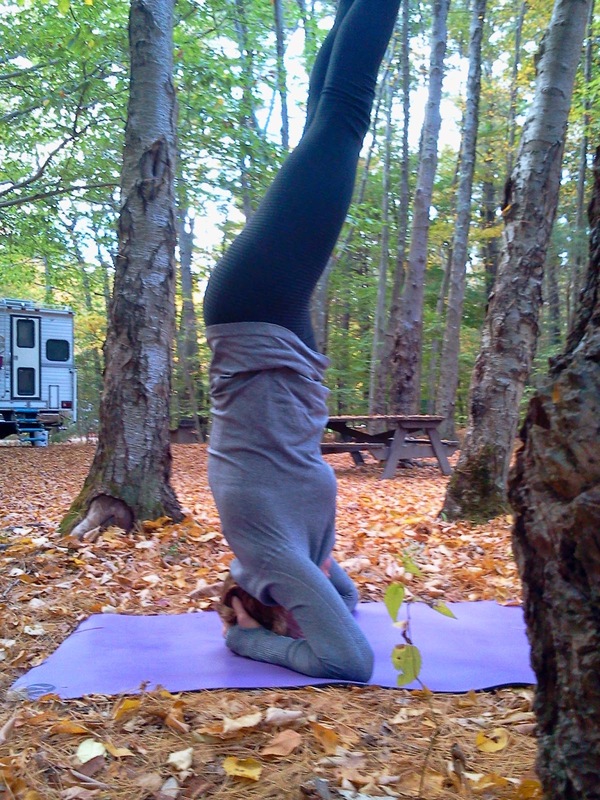 Lesson two…review the time table before you leave the RV (or you may wait around the parking lot for an hour). Lesson three…download the MBTA app while you still have cell service. 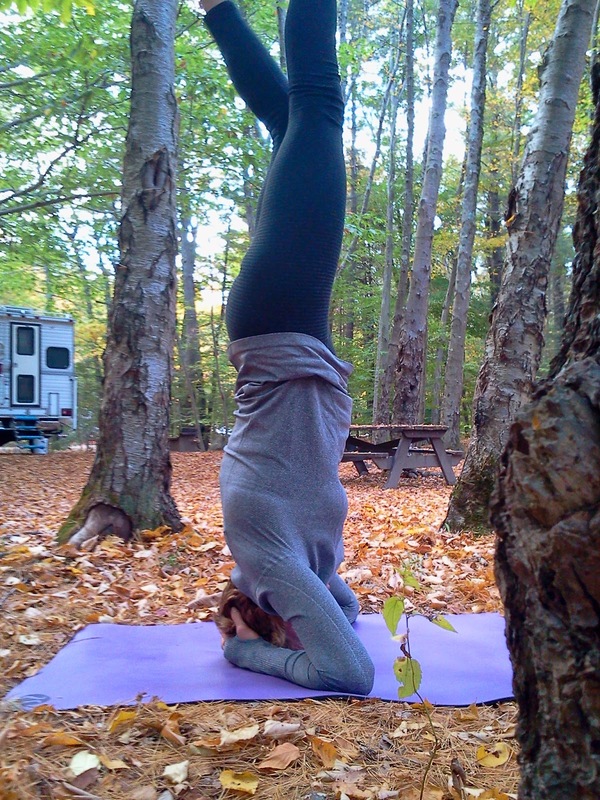 Lesson four…board the correct train and enjoy the ride. Shake yo’ money maker on the rail! Once you’re safely in the city there are a million things you can do. We exhausted ourselves trying to hit up some of the biggies while also visiting some places recommended by friends who know the city. Our first stop though was coffee. 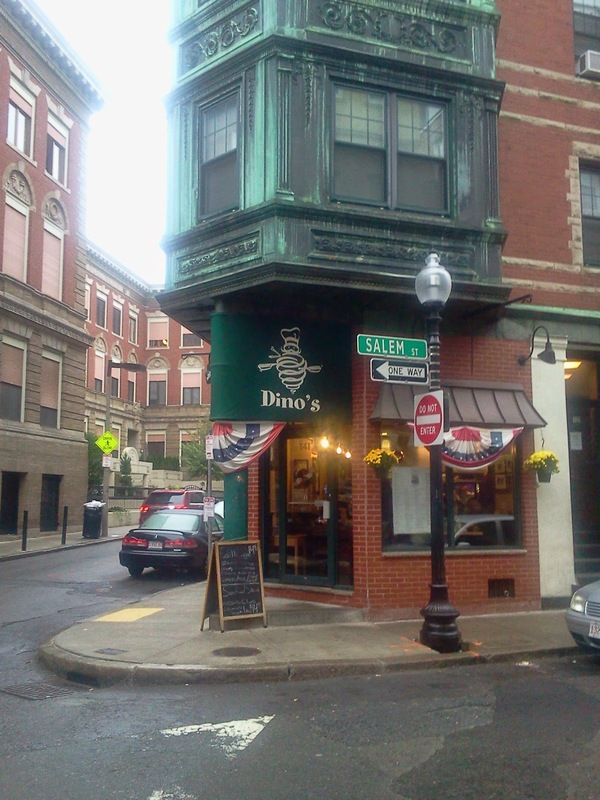 The Thinking Cup is arguably one of Bostons best coffee shops. 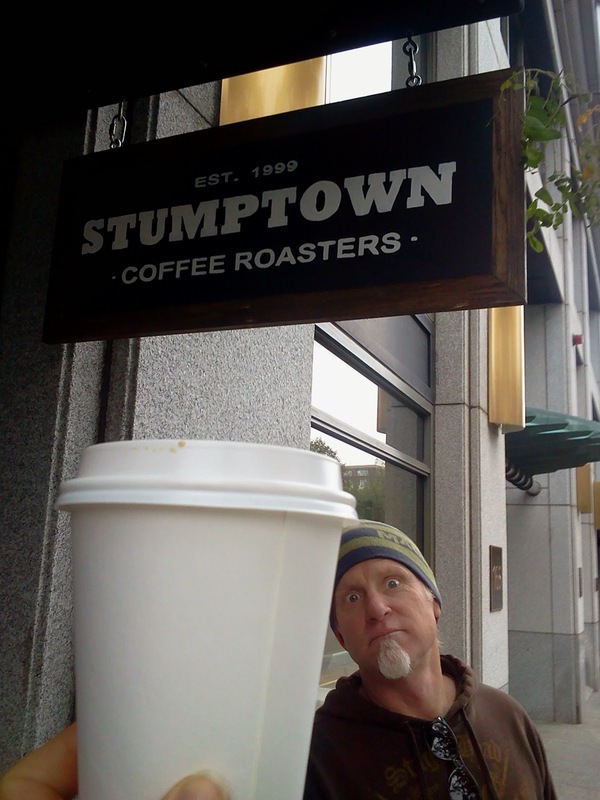 With miles of cobblestone to cover getting amped up on Stumpstowns best espresso was a requirement. 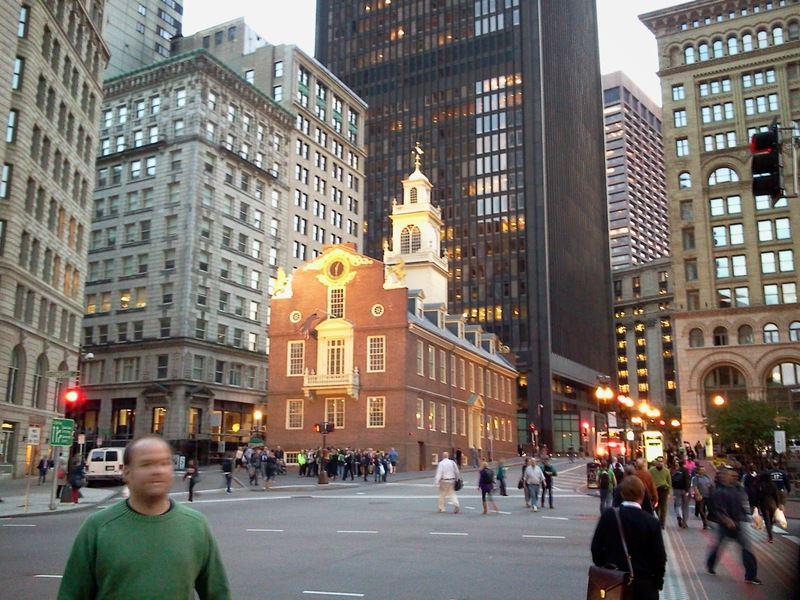 Our first night we hit up the Old State House and Quincy Market. 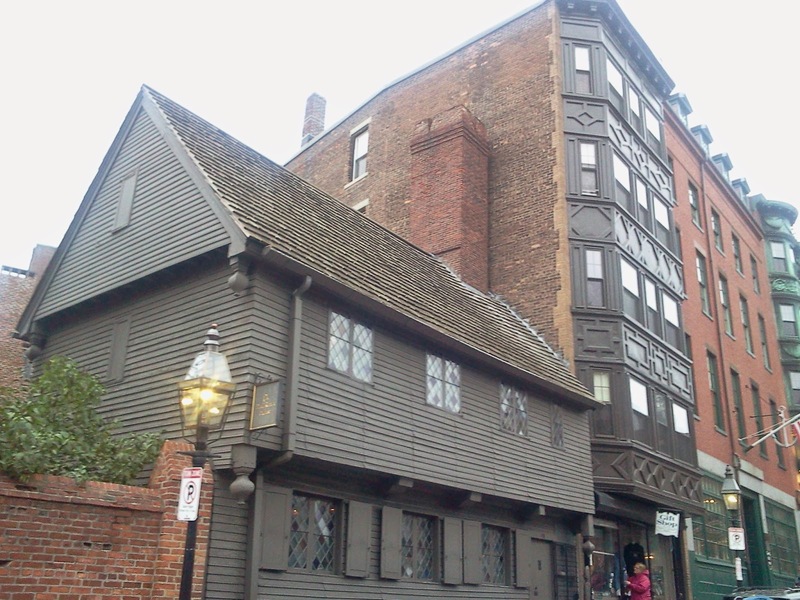 Built in 1713, the Old State House is the oldest building in Boston. 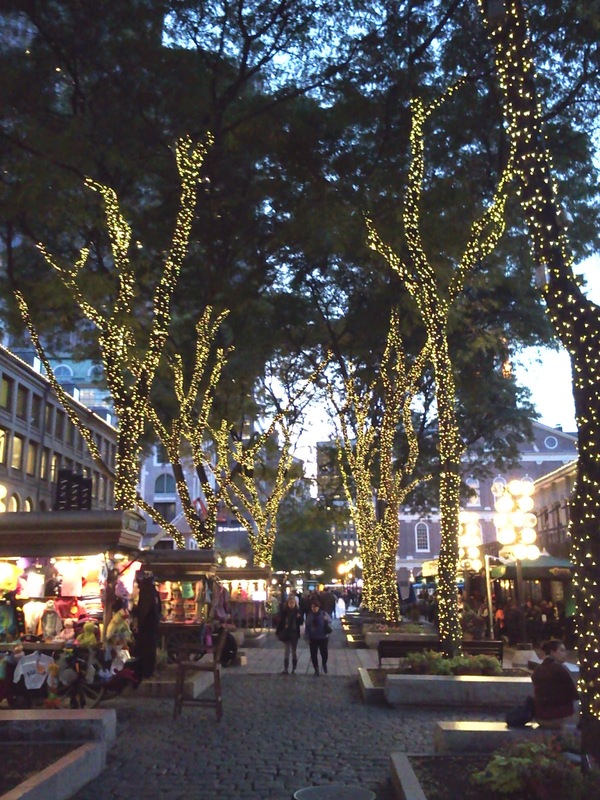 Quincy Market was built in 1824-1826 as an addition to Faneuil Hall. 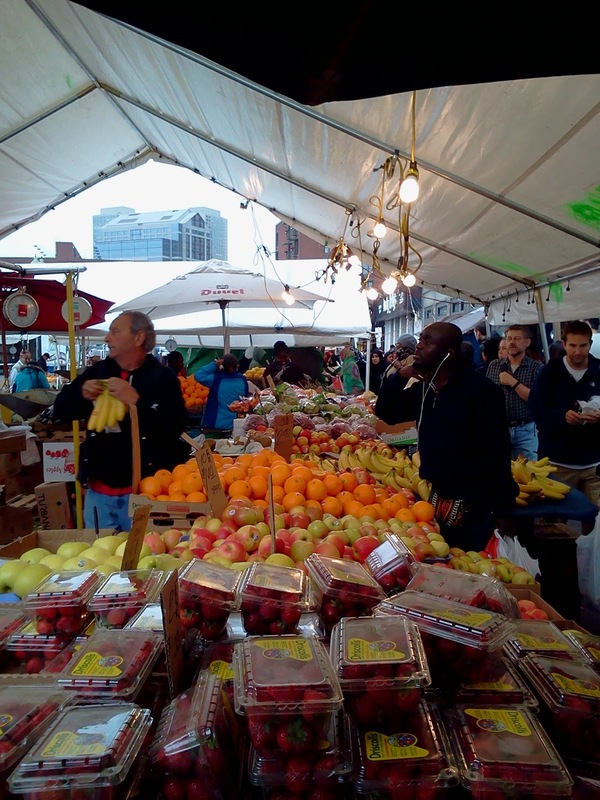 It’s always been (and still is) a commerce and market square. 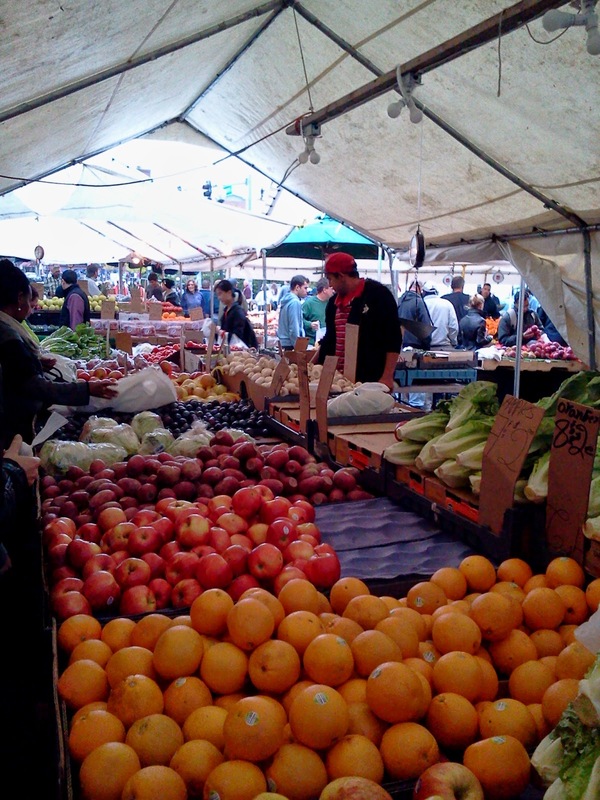 It’s a great place to buy anything and everything from flowers to t-shirts to lunch. 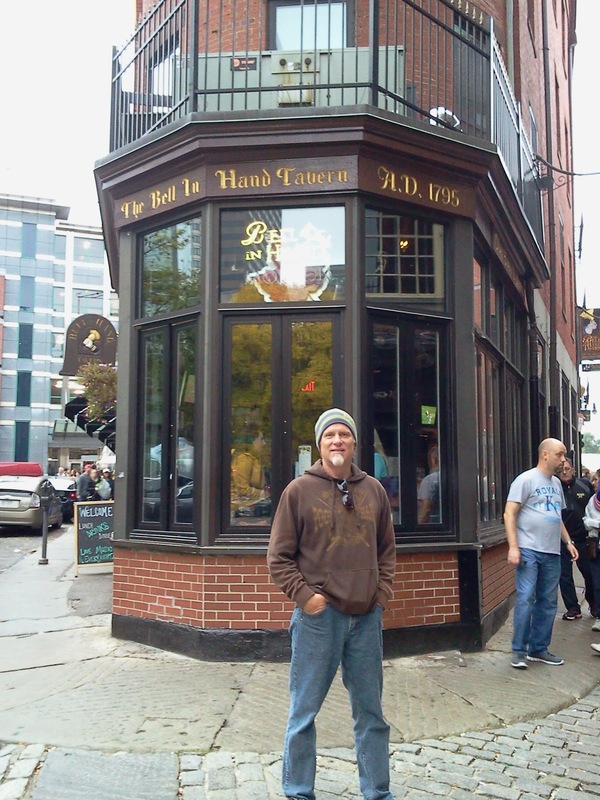 Insiders tip: you’ll find a bar here named Cheers, complete with all of the TV shows paraphernalia, but this is not the original Cheers from the show. 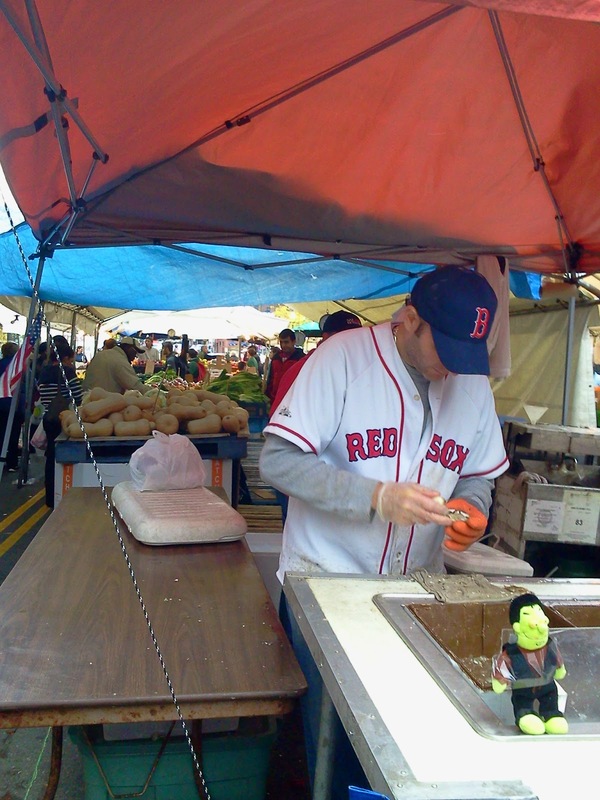 For the real deal be sure to hit up the Beacon Street location. One of two 7 foot carvings (the other is a lion) on the Old State Building representing the British Monarchy. 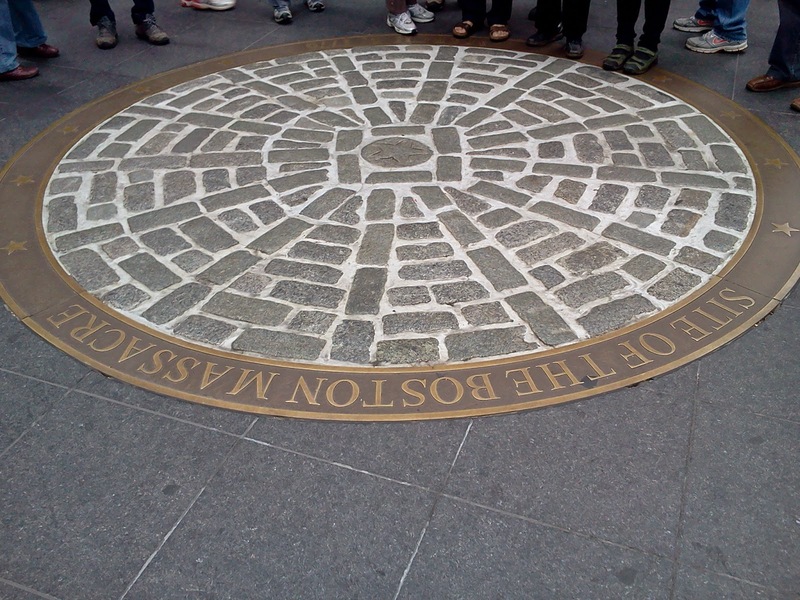 The next day we toured the Freedom Trail, something I would highly recommend to anyone visiting Boston. 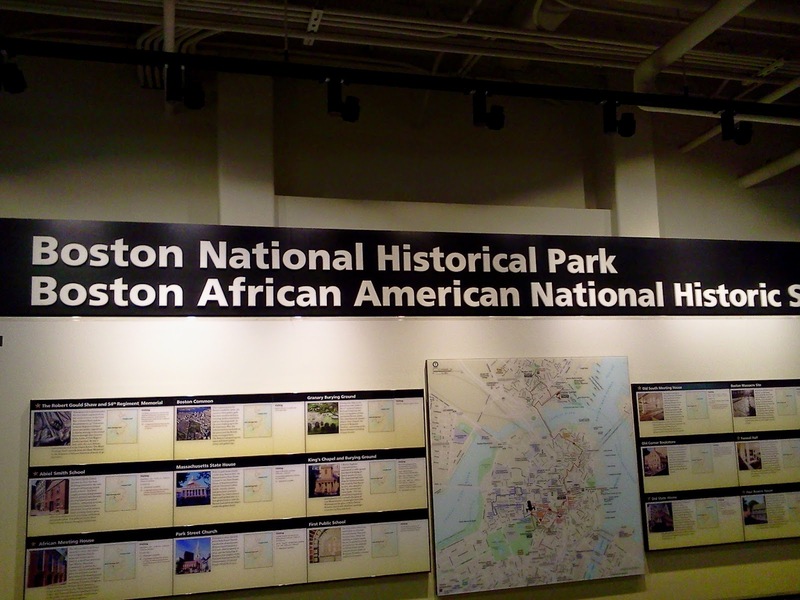 It’s a great way to see many of the historical sites and helps you navigate the city. 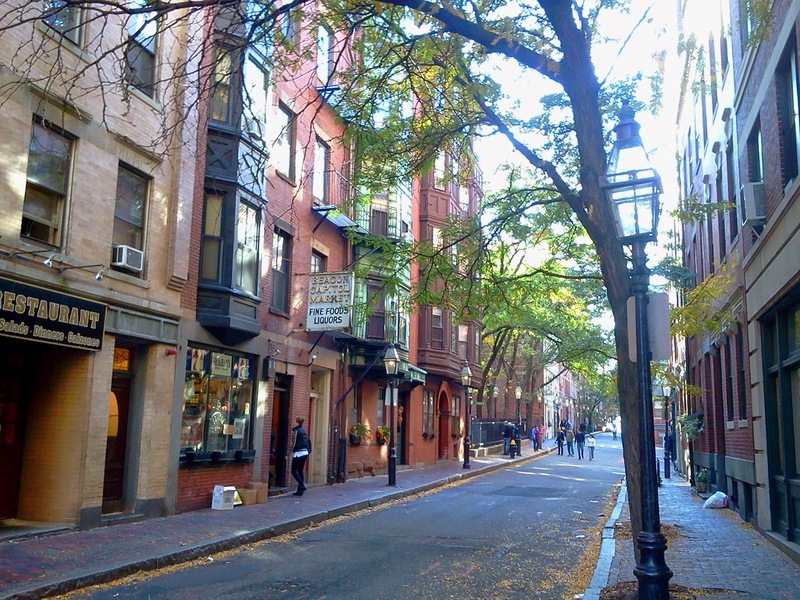 In it’s 2.5 miles you’ll pass 16 historical locations including Paul Revere’s house. 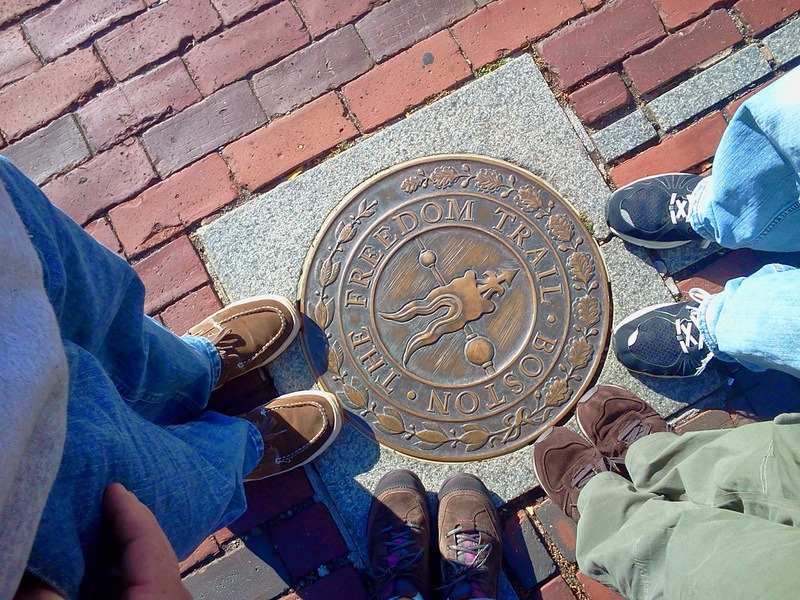 The four of us at the Freedom Trail. 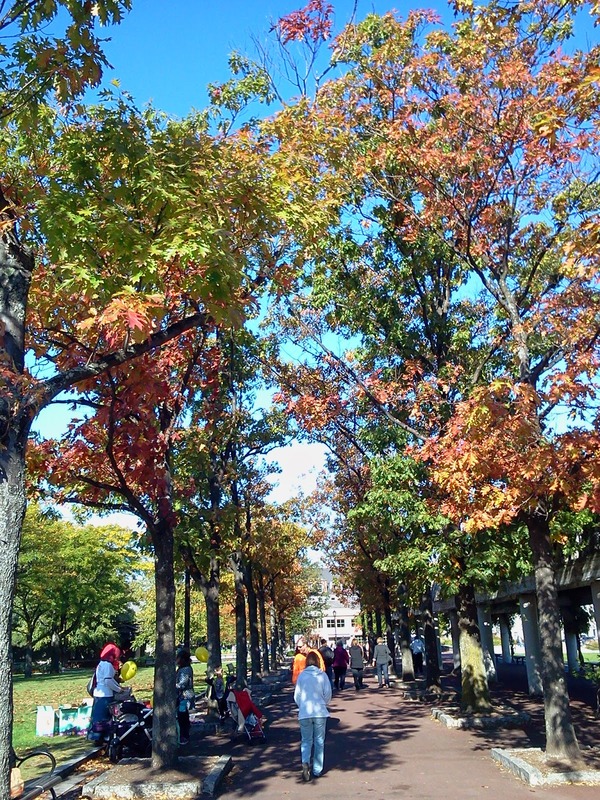 Follow the red bricks! 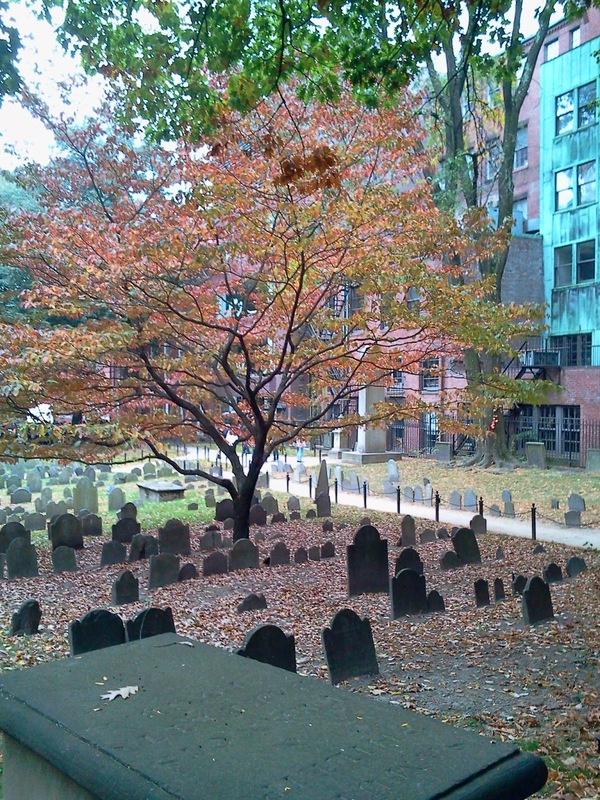 The Granary Burying Grounds, founded in 1660, is still only the city’s third oldest cemetery. 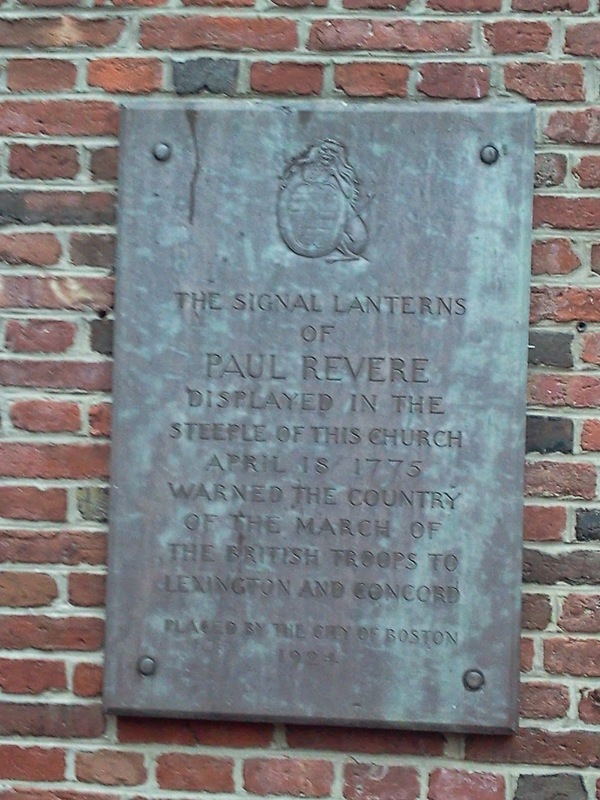 Paul Revere, Samuel Adams, John Hancock and many other notables are buried here. A popular motif for headstones, the Soul Effigy, that depicts the soul flying to heaven after death. 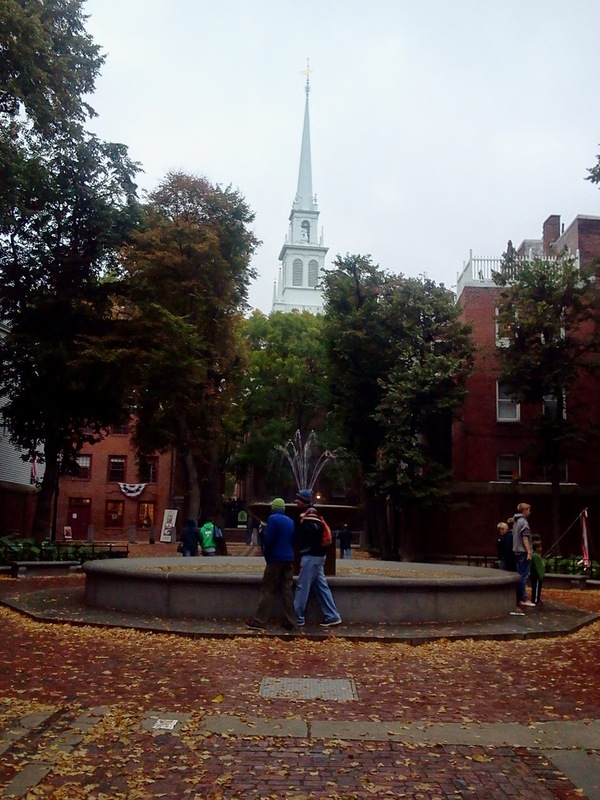 The trail passes the Old North Church. 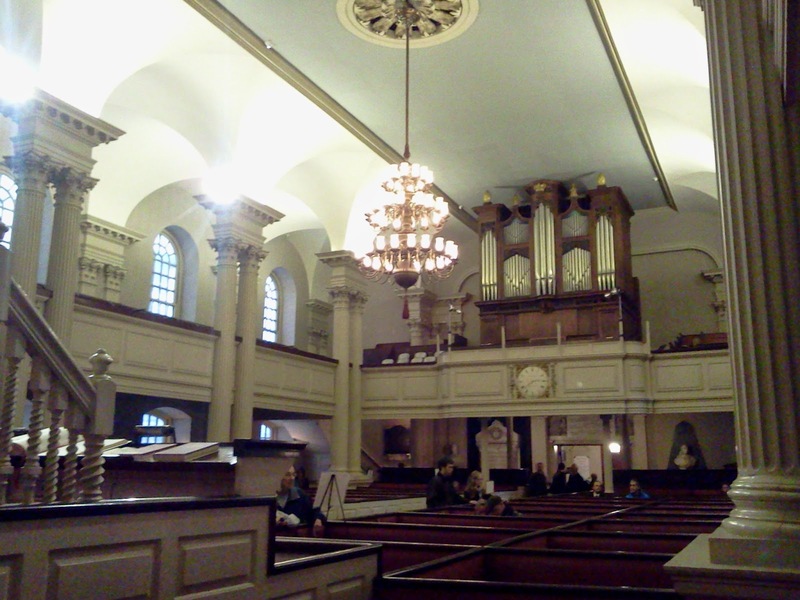 Built in 1773 it’s this church’s steeple that Robert Newman and Sons of Liberty Captain Pulling hung two lanterns, warning the people of the British invasion (one of by land, two if by sea). 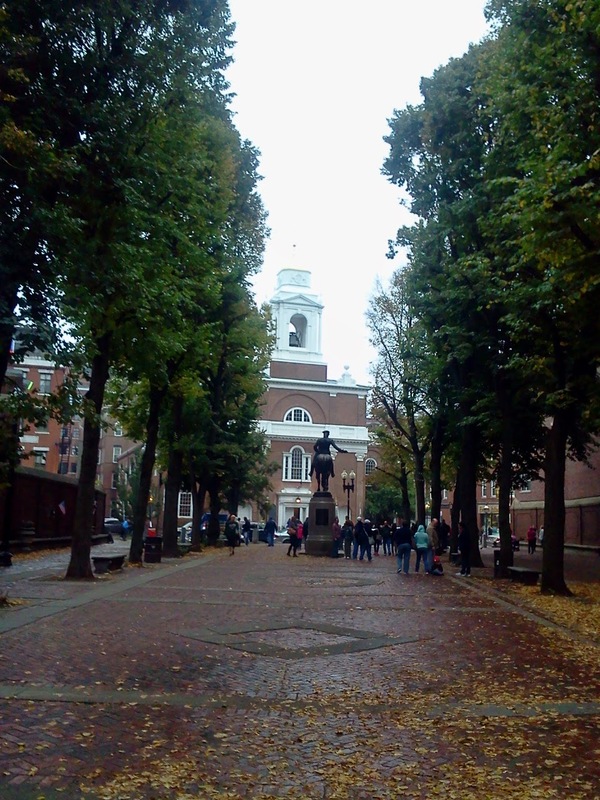 Old North Church with Paul Revere statue. 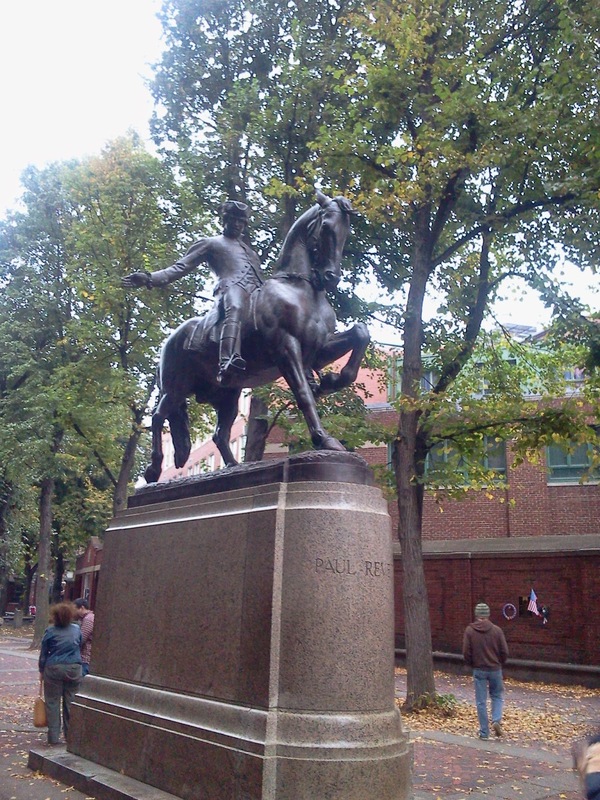 Paul Revere statue outside of the church. 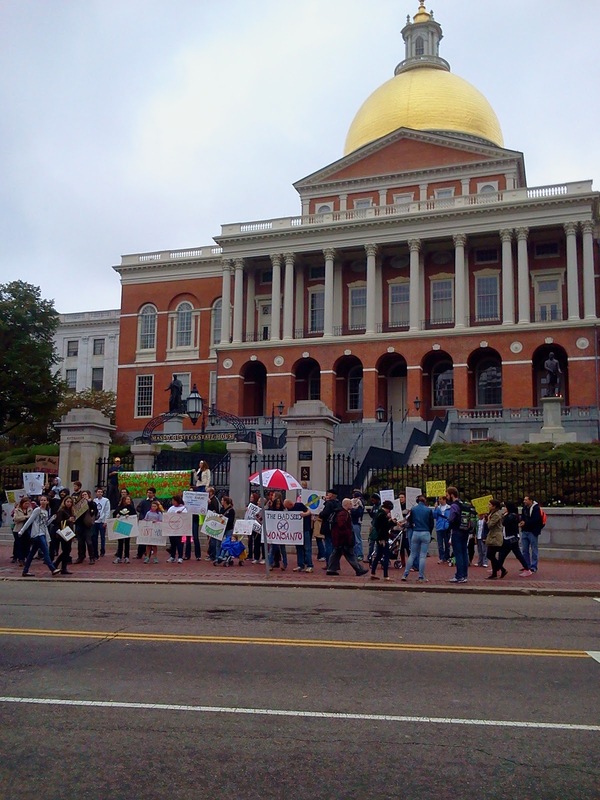 Daily protests at the state house. This one is about GMOs. The shining dome of the state house. 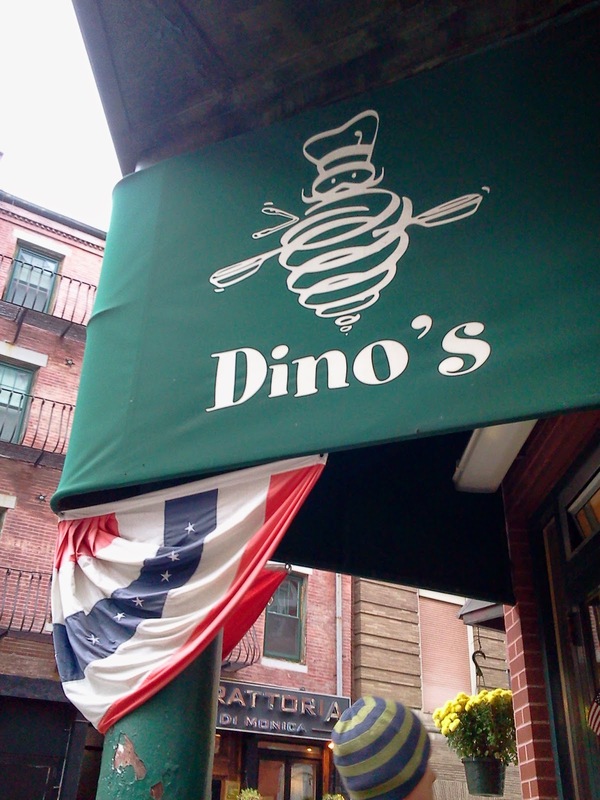 We took the advise of my good friend, Laura (whose son lives in Boston) and ate at Dino’s Cafe in my favorite part of the city, the North End. It was inexpensive with an extensive menu that included plenty of vegetarian/vegan options. 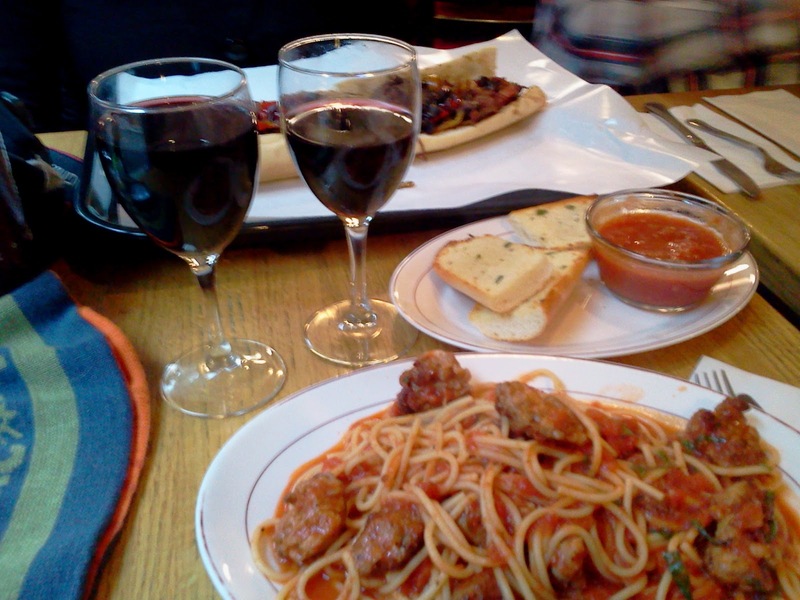 Real Italian food, something Mr. Bonelli has been longing to find. 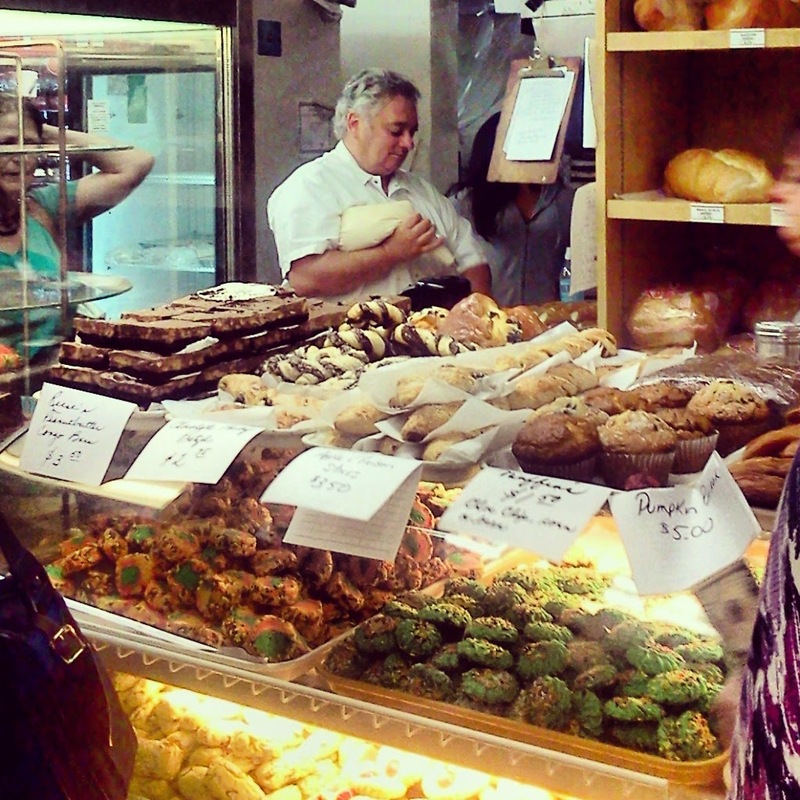 Bova’s Bakery, famous for it’s handmade Italian cookies and canolli, is right across the street from Dino’s. 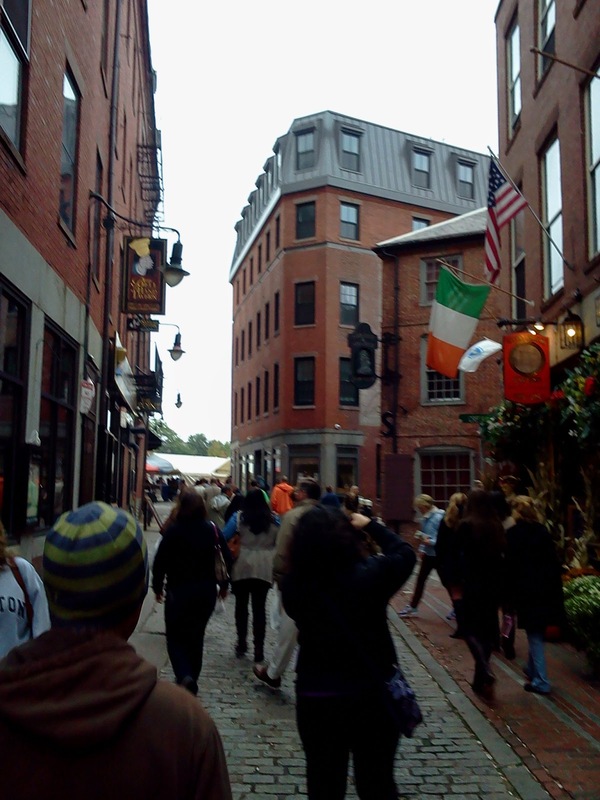 The narrow streets of the North End, combined with the tiny stores and cute storefronts made it feel like we were in another country. 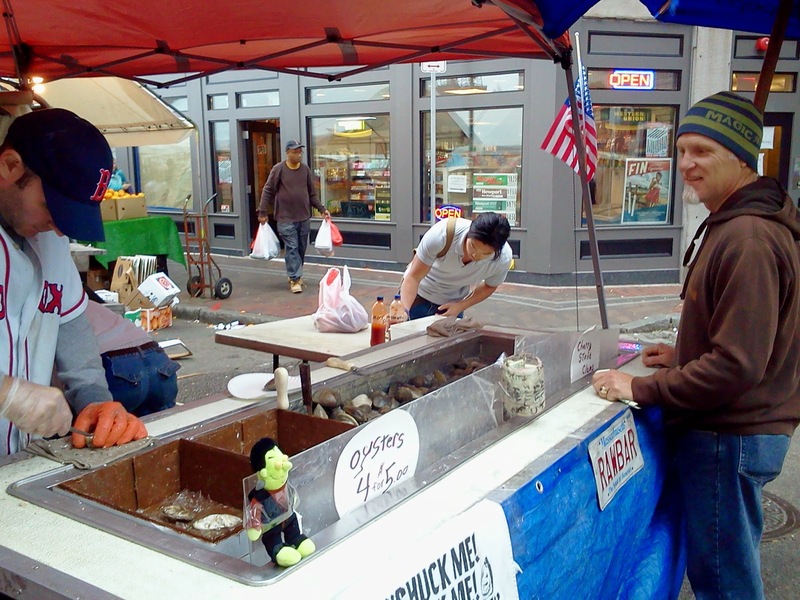 Clark waiting for his oysters. This place was packed…but oh so worth it. 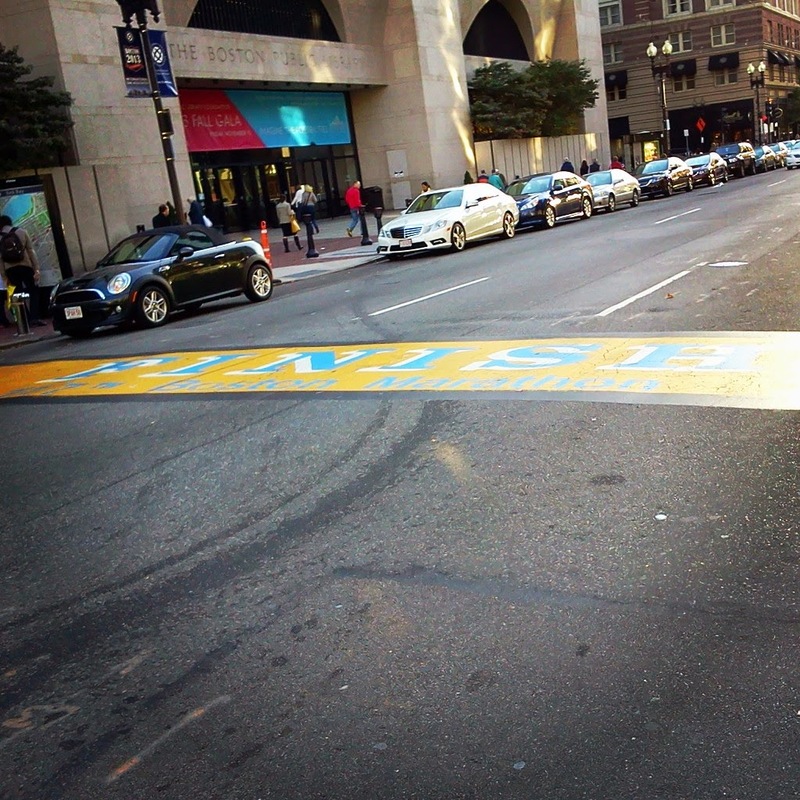 Boston Marathon finish line brought tears to my eyes. There was still lots of damage to buildings from the bombing. Surreal. It sounds like you got a lot in for a short trip! 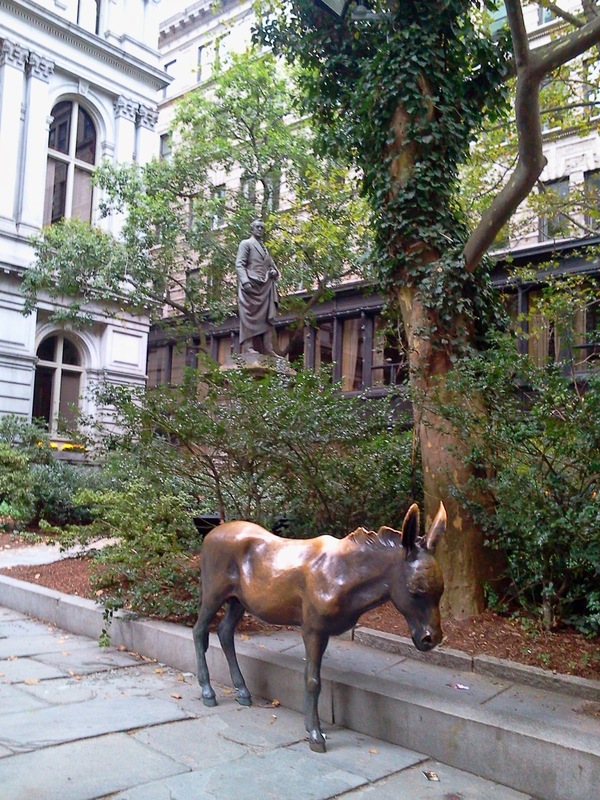 Boston is a great city, maybe you'll get to go back and explore more next time.